Cable (Per Foot) Std Foam Heliax Cable LDF6-50 1 1/4"
Double dipole panel composed of all weld steel, hot dipped galvanized for all weather protection. This panel is broadband and can be used for single channel operation or multiple channel operation in the 174-230 MHz spectrum. The rugged mechanical design and internal feed conductors allow this antenna to operate reliably under extreme icing conditions. Each panel can easily handle 3kW of input power and multiple bays can be stacked horizontally or vertically to satisfy required gain or coverage. Available in 1, 2, 4, 6, 8, 12, 16 bays. 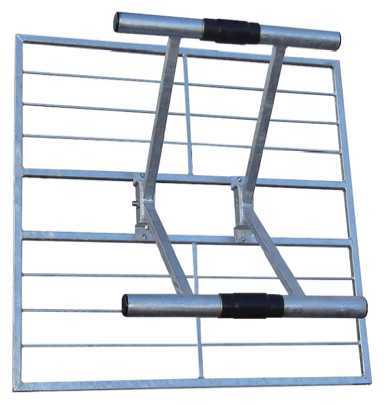 Double dipole omni directional turnstile antenna composed of aluminum, complete with a hot dipped galvanized steel mount. The antenna is frequency tuned on channel for minimum VSWR and maximum efficiency in the 174 – 216 MHz spectrum. The rugged mechanical design and internal feed conductors allow this antenna to operate reliably under extreme icing conditions. Each bay is rated at 500 watts of input power and multiple bays can be stacked horizontally to satisfy required gain. Each bay of the Band I panel antenna is composed of two independent panels, tuned in pairs. The rugged all-weld design and hot diped galvanized steel finish ensures long product life even in the harshest of broadband environments. Each bay can handle up to 5kW and multiple bays can be stacked horizontally or vertically for optimum coverage requirements. Higher input power is available upon request. Frequency Range: 54-88 MHz, Input connector: N female or 7/16” female. VSWR: <1.20, Gain: 7.5 dBd, Polarization: Horizontal or Vertical, Impedance: 50 Ω, Max. input power: 5kW, -3dB HPBW (E-Plane) 72 degrees, -3dB HPBW (H-Plane) 56 degrees. All weld broadband four dipole panel covering the 470-750 MHz spectrum. The robust design incorporates the finest materials available, ensuring many years of reliable performance. The radiating elements are completely welded to the support spine. This results in an enhanced reductions in PIM, even after many years of being in service, which makes this antenna ideal for digital TV broadcast or digital base station data applications. The radome covering the dipoles and internal feed conductors allow this antenna to operate reliably under extreme snow, rain, frost or icing conditions. Each panel can easily handle 2kW of input power and multiple bays can be stacked horizontally or vertically to satisfy required gain or coverage. Frequency Range: 470-750 MHz, Input connector: N Female or 7/16Ó Female, VSVR: <1.15dBd, Gain: 11.5 dBd, Polarization: Horizontal or Vertical, Impedance: 50½, Max. input power: 500w (N connector), -3dB HPBW (E-Plane) 64 degrees, -3dB HPBW (H-Plane) 28 degrees. All weld broadband four dipole panel covering the 470-750 MHz spectrum or 470-806 MHz (special edition antenna). The robust design incorporates the finest materials available, ensuring many years of reliable performance. The radiating elements are completely welded to the support spine. This results in an enhanced reductions in PIM, even after many years of being in service, which makes this antenna ideal for digital TV broadcast or digital base station data applications. Frequency Range: 470-750 MHz, Input connector: N Female or 7/16” Female, VSVR: <1.15dBd, Gain: 11.5 dBd, Polarization: Horizontal or Vertical, Impedance: 50Ω, Max. input power: 2kW (7/16” DIN connector), -3dB HPBW (E-Plane) 64 degrees, -3dB HPBW (H-Plane) 28 degrees. 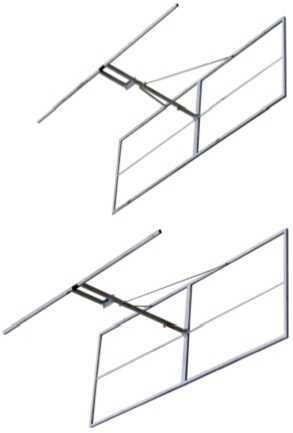 The ANT RR is a Yagi antenna that has been designed to be used with vertical or horizontal polarization. It provides wide bandwidth and high-directivity. It is made up of 14 elements, a reflector and a dipole. The ANT RR is made of stainless steel, and is protected by a polyester radome in order to allow working in really hard environmental conditions. 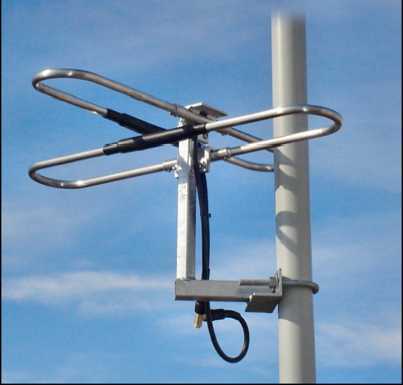 The ANT TX-RR is a high-quality low-cost Yagi antenna, designed to be used with vertical or horizontal polarization, and to provide high-directivity. It is made of aluminium with stainless steel clamps, and the output connector is N Female type. Its radioelectric inalterability has been tested. Furthermore, ANT TX-RX provides high gain, is really light and it can work even in really hard environmental conditions. 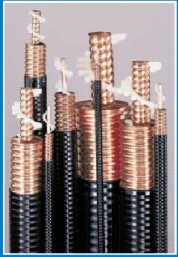 It is manufactured for frequencies between 175 and 960MHz, in 20/30MHz bands. It offers from 10 to 14dB gain depending on the operating frequency. 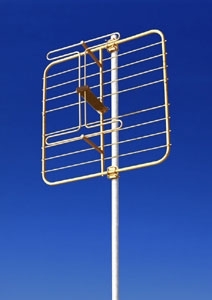 The TX-RR 1660-1670 is a high-quality low-cost Yagi-Uda antenna, designed to be used with vertical or horizontal polarization, and to provide high-directivity. It is made of stainless steel, brass and PVC radome. The output connector is N Female type. Its radioelectric inalterability has been tested. Furthermore, the TX-RX 1660-1670 provides high gain, is really light and it can work even in really hard environmental conditions. The Kathrein Scala Division SL-8 Paraslot UHF-TV antenna is a high performance slot array offering excellent performance in UHF-TV transmit applications requiring omnidirectional coverage. The SL-8 is available in single and multi channel models with a 1,000 watt power rating and optional null-fill. Kathrein Scala Division's patented symmetrical parallel feed system is completely housed within the center of the antenna, and resists changes in radiation pattern caused by ice or snow buildup on the periphery of the antenna. The standard SL-8 is a single-channel slot array with a power input rating of 1000 watts, VSWR of 1.1:1 maximum, 1.75 degrees of electrical beamtilt, and 78" EIA flange or 7/16 DIN female termination. Options include null-fill and additional beamtilt. The SL-8-2 is designed for wideband performance over two alternate nonadjacent 6 MHz UHF-TV channels (e.g. Channels 60 and 62) permitting two transmitters to be diplexed into a single antenna. The SL-8-2 provides VSWR of 1.15:1 or better across the two specified channels. 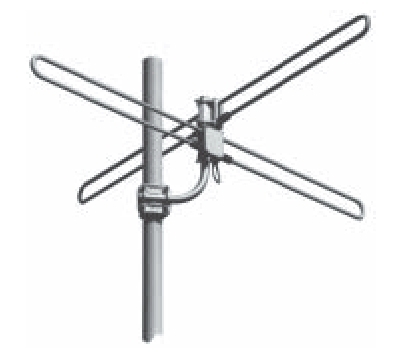 The SL-8-3 Paraslot provides coverage of three 6 MHz alternate nonadjacent UHF-TV channels (e.g. Channels 60, 62, and 64). This arrangement allows three UHF-TV transmitters to be multiplexed into a single antenna. VSWR is held to 1.25:1 or better over the three specified channels. *Available for 6, 7, or 8 MHz channels in accordance with variousinternational channel allocation plans. long service life. *The DRV covers channel 7 through 13 in system M as well asall other international band III channels. The Kathrein Scala Division TVO is a ruggedly built, horizontally polarized VHF-TV transmit antenna with an omnidirectional pattern. Like all Kathrein Scala Division antennas, the TVO is made of the finest materials using state of the art electrical and mechanical designs resulting in superior performance and long service life. The TVO is available as a single bay antenna or in vertically stacked arrays for additional gain. Omnidirectional Antenna, -3, 0, or 3 dBd gain. The Kathrein Scala Division TVO is a ruggedly built, horizontally polarized VHF-TV transmit antenna with an omnidirectional pattern. Like all Kathrein Scala Division antennas, the TVO is made of the finest materials using state of the art electrical and mechanical designs resulting in superior performance and long service life. The TVO is available as a single bay antenna or in vertically stacked arrays for additional gain. TVO series Omnidirectional Antenna, -3, 0, or 3 dBd gain.